On Monday afternoons in April, Gym 2 at Odell Weeks is reserved as a backup venue for the Hopelands Gardens concert series. If the weather is good on those days, the gym may be available for pickleball. I want to extend a sincere thank you to all the volunteers who gave up a chunk of their weekend to give back to our community. You embody all the best of what pickleball is all about. The schedule for April and May clinics at Odell Weeks has been posted on the calendar: To reserve a spot in a clinic, please call the Odell Weeks front desk at 803-642-7631. 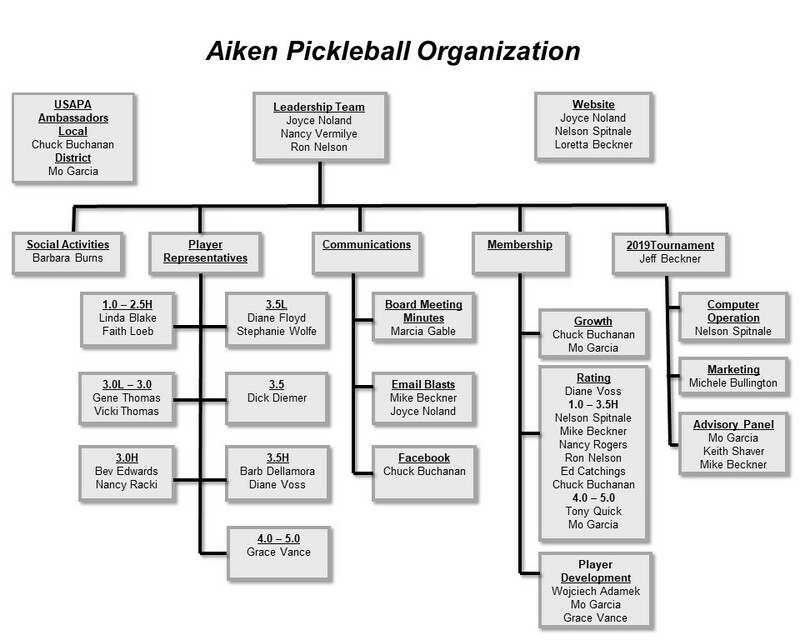 We are looking for a volunteer (or possibly two or three) to help with the Aiken Pickleball website. 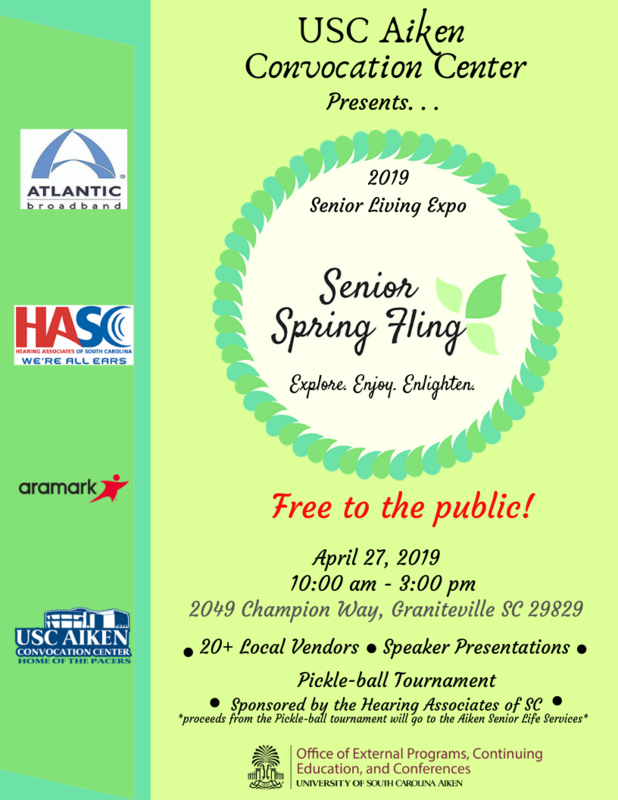 The city of Aiken has issued a proclamation to recognize the month of April as National Pickleball Month in the City of Aiken. This was included on the March 25th City Council agenda. We would like to ithank everyone who attend the meeting to show the city that pickleball is here to stay and GROW! Steve and Lisa Miner, who will soon be moving to Florida, were honored at the quarterly social on March 19th. We will miss their leadership, friendship, and support of the Aiken pickleball group. The minutes from the March 2019 board meeting have been posted. To read the minutes, click here. In March we have lots of evenings scheduled for play at Odell Weeks. Several people have requested court reservation time in the evenings so that people who work may also use that format. As a trial in March, we are allocating two courts on most evenings for reservations. The other four courts will be given a modified court designation format. Please check the calendar at for details.